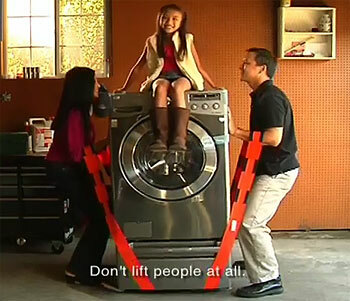 So they filmed the Forearm Forklift lifting strap commercial in which almost every example shows a person (mostly kids) sitting on top of the furniture or appliance being lifted. Then someone realized that’s not really a good idea. 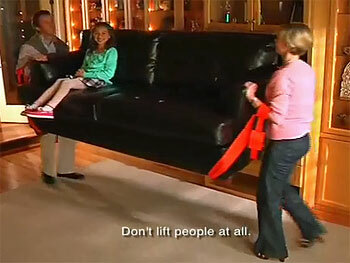 But rather than reshoot the commercial they simply slapped the disclaimer “Don’t lift people at all” on the screen. In spite of the disclaimer, Forearm Forklifts will prove quite popular among rednecks looking to create the roller coaster experience for their kids at home. Don’t miss the “crunch” sound effect at 1:03 and the “waah-waah-waah” horn at 1:29. 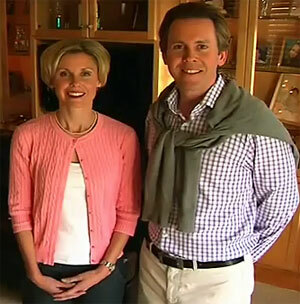 The 80s metalhead outfits aren’t the only thing about this infomercial that’s old school! How about a disclaimer for moving a couch while wearing heels?